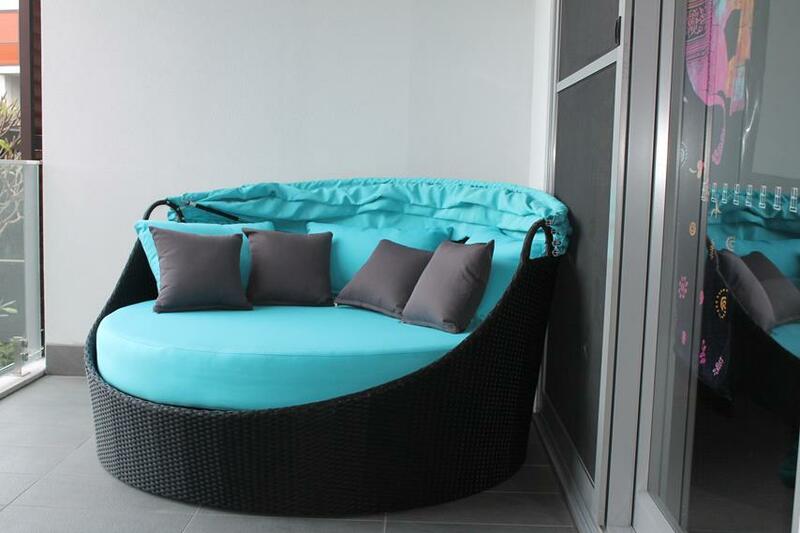 This stunning, deluxe day bed is the most comfortable place to relax by the poolside, or in the garden. Create a modern, resort feeling in your home. The retractable canopy lets you rest in the shade, or bathe in the sun. 180cm wide x 180cm deep x 160cm high. Includes a deluxe 30cm thick seat cushion and plush back pillows. Made of all-weather wicker, UV treated polyester fabric, and an aluminium powder coated frame.